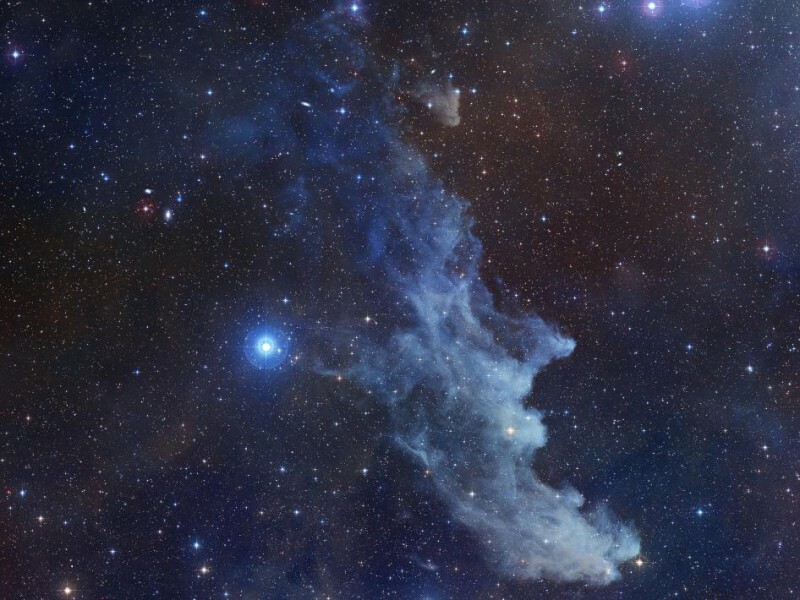 The Witch Head Nebula, formally known as IC 2118, is a reflection nebula associated with the star Rigel in the constellation Orion and looks more than a bit like a classic creepy old crone. The color of this very blue nebula is caused not only by blue color of its star, but also because the dust grains reflect blue light more efficiently than red. A similar physical process causes Earth’s daytime sky to appear blue.